Phoenix achieve quality through our commitment from project planning, designing, testing and implementing to training. Phoenix Control Systems was established in 2005 to deliver high technology and cost-effective engineering solutions for our loyal and growing customer base in different sectors. Therefore, we provide a turnkey Industrial Automation solutions to our customers. We can Design, Manufacture and Install Industrial Control Panels from simple control panel building through to full custom integrated systems. In addition, our Robotic’s division supplies quality robotic automation systems and robotic automation solutions in many highly-regulated sectors. We provide a range of industrial electrical industrial control systems and industrial control panels to suit all applications. We produce and test all our custom panels from our manufacturing premises in Liverpool to serve all of the UK. Our solutions include robotic automation for all kind of applications such as: Milling Robots, Robotic Cutting, Robotic Welding, Material Handling Robots, Palletising Robots, Robotic Assembly and more. See also Industrial robot sales increase worldwide by 31 percent. Phoenix provide Industrial Automation Services from initial design and consultation to manufacture, bespoke in-house software programming, installation, training, and technical support. We are the UK’s leading manufacturer of Automation Industrial Systems for all kind of industries: Automotive, Food, Environmental, Aerospace, Marine, Robot Automation and others. With years of experience in Automotive Industry, we supply Industrial control panels and electrical wiring solutions to all sectors. Recently we have got a very big project from one of my partner company. I would never have completed the work on time without the help of Phoenix Control Systems Limited. With their large knowledge of robotic automation and their efficiency we increased our production. I would like to recommend Phoenix Control Systems Limited to every one who is looking for quality work. The experience working with them is priceless. Thanks to Phoenix that I have a robotic milling operation today. I would like to share with people from my experience working with Phoenix is, besides being professional that truly cares, their ability to understand what the clients truly need and provide them with optimal robot automation solutions tailored exactly to their needs. Their large experience in the field allows to design a robust robotic system from day one. I was introduced to Phoenix through our robot supplier. Being our first robot we were relying on the advice of a good reliable robot integrator who could help us along the way. With Phoenix on the team we honestly could not have asked for a more. Throughout the whole build, Phoenix really kept our best interest in mind and guided us to acquire the most suitable and cost-effective robotic system for us. Robotic automation companies in the United Kingdom are helping manufacturers to keep on step ahead of their competitors. For instance, automotive industries are well known for implementing new technologies in their process and they are taking the lead in using robotic automation systems. United Kingdom is ranking 22nd in robot density in the world average according to IFR International Federation of Robotics. 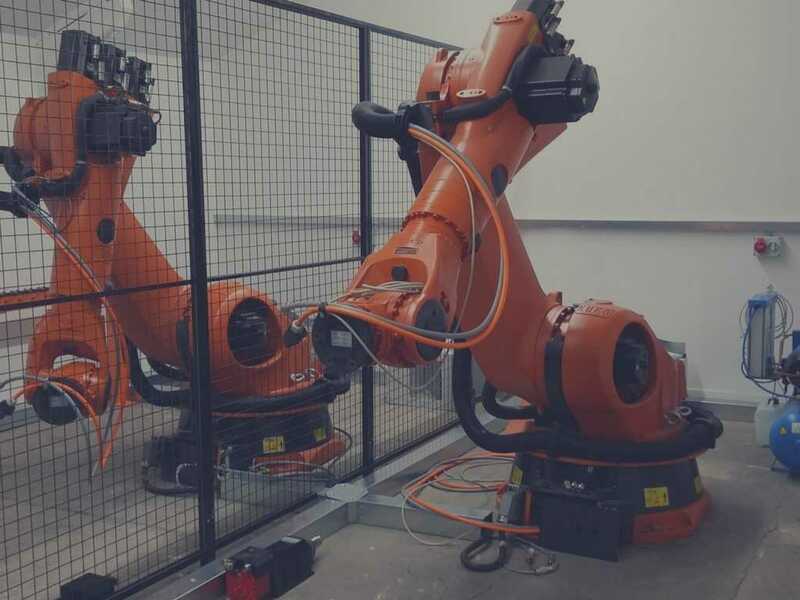 Even though, the robot density is not what is expected, manufacturers are highly in need of investment to adapt robotic automation systems to improve their production. Robotic Automation companies in the UK are aware of the low density in robotics if it is comparing with the Asia or others country in EU. Despite the decision to leave the EU, there are currently many suggested investment plans for capacity expansion and modernization of foreign and local automotive industry. Therefore, it is not evident though whether companies will hold back investments due to uncertainties concerning customs duties, said the Federation of Robotics.